The Budget announced a slight increase in expense ratio, while distributor business may suffer due to its inclusion in the service tax list. A number of investors and experts in the mutual fund industry had high hopes from the Union Budget. 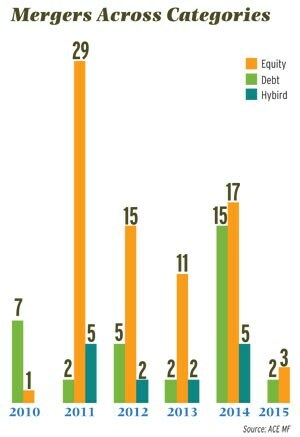 However, it will not be an exaggeration to say that the Budget offered a mixed bag to mutual fund investors. It was not as if there was nothing to cheer-one of announcements in the Budget was removal of capital gains tax in case of merger of two mutual fund schemes. Until now, for taxation purposes, when a mutual fund scheme was merged into another, it was considered as sale of units of the existing schemes and purchase of units of the surviving scheme. This resulted in a tax obligation for the investor despite the fact that there was no actual sale. If the investor invests in an equity scheme for less than one year, he has to pay 15% short-term capital gains tax. Gains after a year, which are considered long-term capital gains, are tax-free in case of equities. In case of debt-oriented funds, gains arising out of sale of units before three years are considered short-term capital gains and added to income while gains after three years are considered as long-term nad taxed at the rate of 20% post indexation. The guidelines further state that after the merger, if an investor sells units of the new merged scheme, then his capital gains liability will arise depending on his original investment date and not from the date of the merger. Experts have welcomed this move. "This is a move in the right direction as investors were unnecessary taxed in case of merger but I don't think it will lead to a large number of mergers happening in future," says Waqar Naqvi, CEO, Taurus Mutual Fund. This change is also in line with the Securities and Exchange Board of India's (Sebi's) objective of facilitating consolidation in the industry. Sebi has been asking fund houses to merge identical schemes in order to reduce duplication. Over a period of time, Sebi has eased merger norms to make it easier for fund houses to merge schemes. In 2010, Sebi exempted fund houses from giving the exit option to investors of the surviving scheme if they could convince investors that the merger and consolidation will not lead to a fundamental change in the surviving scheme. The last few years have witnessed a large number of mergers. 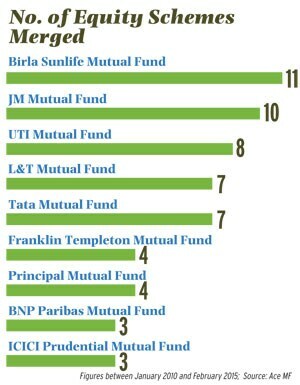 In the past five years, 76 equity funds of various fund houses have been merged. Now, you will receive a smaller dividend as the surcharge on the income distributed by mutual funds has been raised from 10% to 12%. While this will not impact equity funds as there is no dividend distribution tax (DDT) on dividends declared by equity funds, it will affect debt-oriented funds. In case of debt-oriented funds, DDT will now be 28.84% (25% +12% surcharge +3% cess) instead of 28.33% earlier for individual investors. For corporate investors, the DDT will be 34.61%. Another announcement which will negatively impact gains of mutual fund investors is the increase in service tax from 12% to 14%. There is an additional 2% education cess and 1% senior and higher education cess, which increases the effective rate from 12.36% to 14.42%. 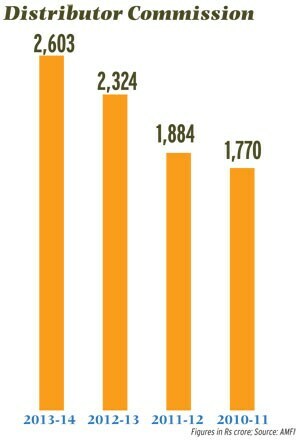 The increase in service tax is likely to raise the overall expense ratio. In September 2012, Sebi allowed asset management companies to pass on the burden of service tax to investors by allowing them to charge service tax over and above the total expense ratio limit of 2.5% in case of equity funds. Service tax is charged on the management and advisory fees charged by the asset management company. So, assuming that an AMC charges 2.5% as expense ratio and the management fee is 1.50%, the service tax of 14.42% will take the overall expense ratio to 2.68%. Another significant announcement was the removal of distributor commission from the service tax exemption limit. This is going to impact earnings of distributors significantly. If a distributor falls in the highest tax bracket, then he will have to pay 30% plus 14.42% service tax (14% service tax plus 2% education cess and 1% senior and higher education cess) as tax. The total tax on their revenues will be around 44.42%, which is likely to be a sizeable amount. Will they be able to take the burden or we will see people move out of the distribution business? Or will asset management companies take the burden of service tax? "Distributors feel that the burden should be borne by asset management companies as they take their services to promote and sell their products. Although it may be possible for some of the big AMCs, small asset management companies may not be able to take the burden," says Jitendra Solanki, a Sebi-registered investment advisor. Other experts do not welcome this step. "In the Budget of 2013-14, the distributor's commission was exempted from service tax to aid the growth of distribution industry, which was reeling under the pressure of low sales and entry load ban. The removal of the exemption is a premature step. It will negatively impact the distribution industry," says Manoj Nagpal, CEO, Outlook Asia Capital, a wealth management firm. Srikanth Meenakshi, director, Fundsindia, adds, "The increase in service tax will dent our earnings. However, it is not clear how the tax would be paid-whether we would pay it ourselves or mutual funds would withhold it on our behalf. We will have to wait for further clarification," he says. However, Jimmy Patel, CEO, Quantum mutual fund believes this is a cash flow issue and will not have much impact as distributors can set off the service tax paid on revenues with service tax paid on expenses. Tapati Ghose, partner, Deloitte Haskins & Sells LLP says this may reduce earnings of distributors and AMCs. "The service tax in respect of mutual fund agent and mutual fund distributor services shall be paid by the asset management company. They have introduced reverse charge mechanism like insurance providers and AMCs will have to pay service tax and not distributors/agents," she says. "This is done to increase tax compliance and reduce the tax collection cost. It has been decided to bring these services under the reverse charge mechanism wherein the liability to pay service tax has been shifted from agents to AMCs," she adds. These are advisors who have registered themselves with Sebi and don't receive any commission from AMCs. As per Surjit Mishra, executive vice president, national head, MF, Bajaj Capital, "There will be no impact on such advisors". As per the service tax rule, one is liable to pay service tax if the revenue from the business is above Rs 10 lakh per annum. So, advisors who made more than Rs 10 lakh were already paying service tax and nothing changes for them.